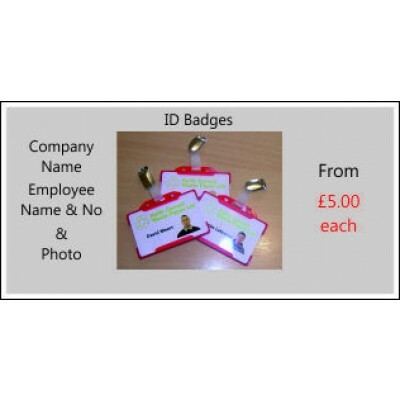 Buy personalised ID Badges on-line. The personalised details can include your company name and/or a logo, your employees' names and photographs and a serial number can also be included. Each badge comes complete with a red plastic holder and attachment clip.